You define the label for each analysis code and the contents of each analysis codes list. Up to seven analysis codes can be recorded against each contact. 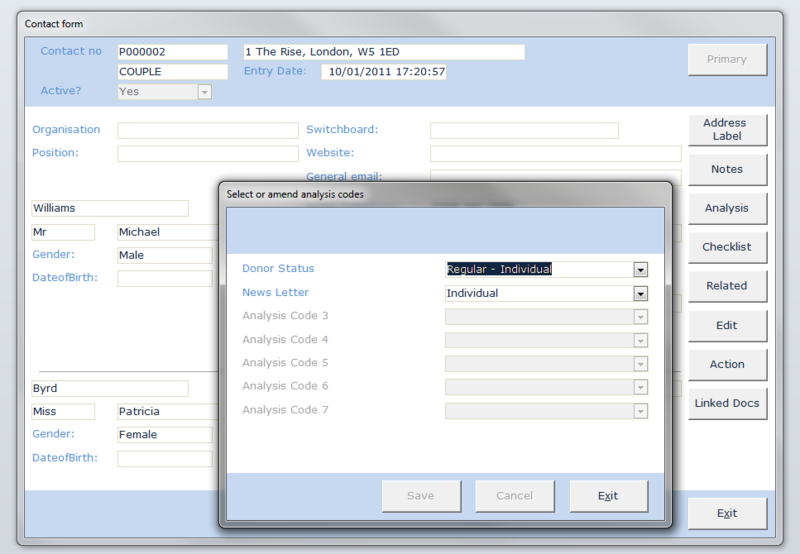 Analysis codes can be used to maintain sub-lists of contacts and management reporting.